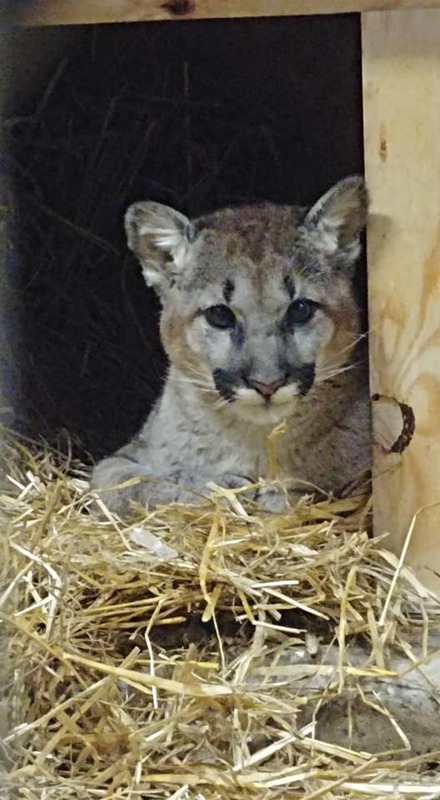 Our new cougar cub has a name! We are so excited to start calling him by his name and to hopefully get him used to it and used to having humans around. Wild-born animals are much different than those who are born in captivity. Our cougar cub was born and taught by his mother, for the short time she was alive, to fear humans. His life in the wild was best lived as far from humans as possible. That changed a lot when he was brought into captivity. While he will, of course, always be a wild animal, we want him to grow to understand that he will be around humans and that we will not harm him. Dr. Hunter will tell you a little about how that works next week, so check out his next blog post! In the meantime, we have a name for this handsome fellow. The staff took suggestions from the public, our volunteers, and our staff members. We then narrowed it down and voted on it. 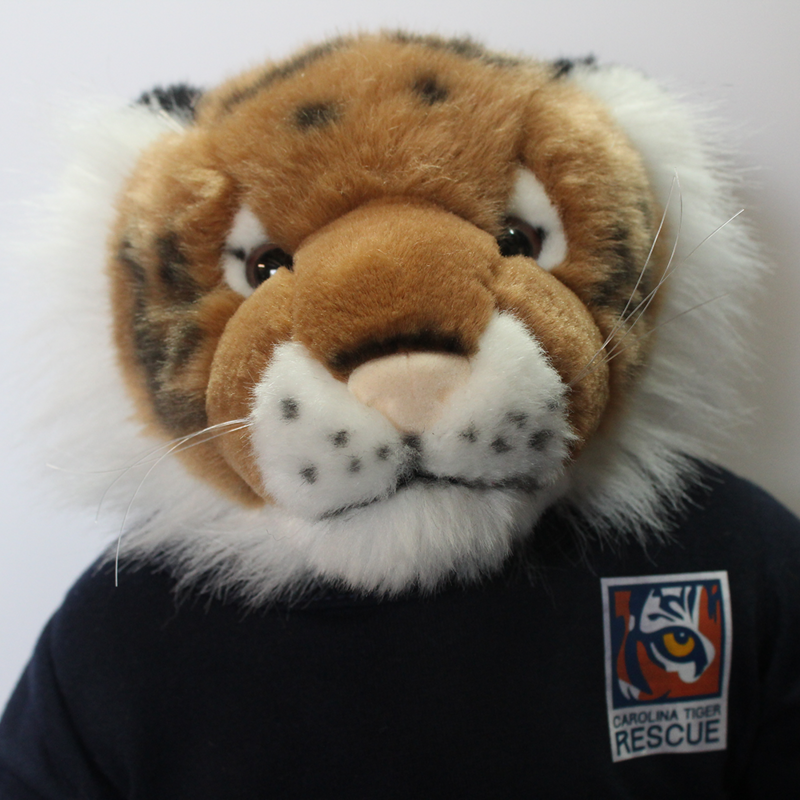 Our new cub’s name is Beausoleil. He is named for Officer Beausoleil who went above and beyond to rescue the cub from Washington so he could eventually make his way to North Carolina. 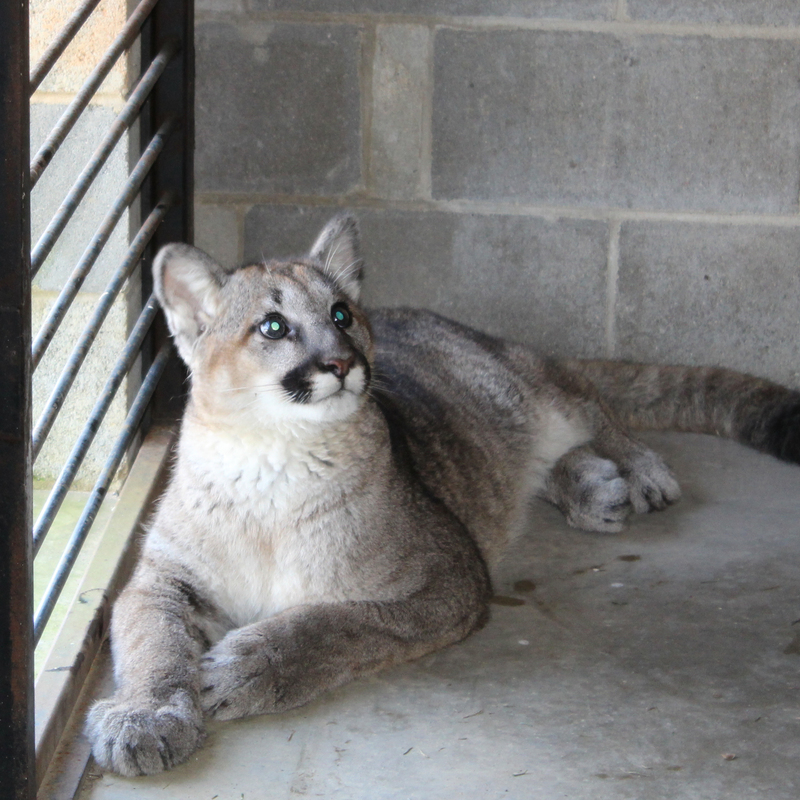 Beausoleil Cougar will be called Beau for short. We are thrilled to have him and are thrilled and thankful to the wildlife officer who saved him and gave him a second chance! As Beau continues to settle in and get used to his new home, he will spend at least 30 days in quarantine. If he has any illnesses, this ensures that we can treat them and he can’t spread them to our other residents. This also allows us to gain his trust and get him used to humans. He has a radio that plays daily so that he is hearing human voices and becoming desensitized to them. We spend some time treat-feeding him and softly talking to him as well. This time in quarantine also gives us time to get an idea of what his personality will be like. So far he likes to growl and hiss at us, which is not a surprise. He has had a lot of changes in his young life, and he wants to ensure that we remember he is a wild animal. We have promised him we will never forget that. 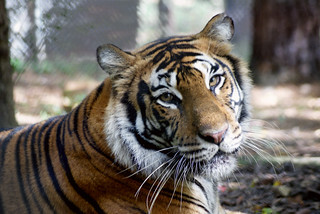 Beau, while in quarantine, will also be sedated and get a checkup by our vets, Dr. Lassiter and Dr. Lamar Hunter. The plan is to do that in the next couple weeks. This “knock down”, as we call it, will allow us to collect blood work from him, check his teeth, and simply get a physical. The only safe way to do a physical on any of our animals is to sedate them. They are never safe to handle while awake. Well, that’s all for today! I have to get back to feeding and ensuring all the animals have clean water!